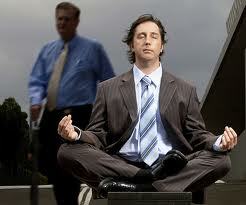 There is no question in my mind that culture has a powerful influence on the elicitation of anger and hostility. The “cultural representations” that we develop throughout our lives influence greatly the experience, expression and suppression of anger through how we “interpret and judge” what is occurring to us in our everyday lives. Then we are generally left, in our western culture, with one of two choices for dealing with anger (either, we feel the anger and openly express it, or, we feel the anger and suppress it). I like to suggest another culturally based alternative: experience it mindfully and become aware that is just a feeling that you can let it go….and get over! Although it may appear odd at first, this is a very plausible alternative. From our cross-cultural mindfulness perspective, we welcome “the experience of anger” by intentionally bringing non-judgmental awareness of anger in the present moment. That is exactly what we do in the practice of mindfulness, and what we find is peace of mind…..then, we become playful again. Our initial data about the effects of mindfulness cognitive training on anger and emotional distress in cancer patients begins to support these hypotheses. 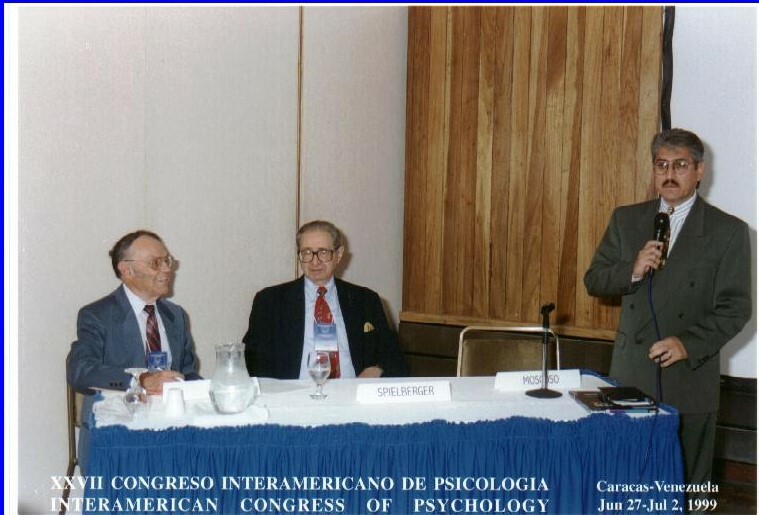 1999 Interamerican Congress of Psychology meeting in Caracas, Venezuela on CROSS-CULTURAL ASSESSMENT OF ANGER EXPRESSION, with Professors Charles Spielberger (USA) and Rogelio Diaz-Guerrero (MEXICO). Moscoso M.S. & Spielberger C.D. (2011). 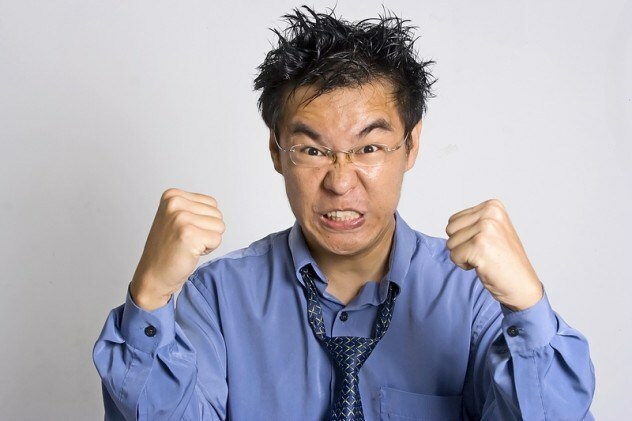 Cross-cultural assessment of emotions: The expression of anger. Revista de Psicologia, Universidad catolica del Peru. Vol. 29, (2), p. 341-360. Spielberger, C.D., Moscoso, M.S., & Brunner, T.M. (2005). Cross-Cultural assessment of emotional states and personality traits. (Editors): Merenda, P.F., Hambleton, R.K., & Spielberger, C.D. Adapting Educational and Psychological Tests for Cross-Cultural Assessment, Taylor & Francis, Washington, DC., USA. Moscoso, M.S., & Perez-Nieto, M.A. (2003). Anger, hostility and aggression assessment. (Editor): Fernandez Ballesteros, R., Encyclopedia of Psychological Assessment, Sage Publication, London. Moscoso, MS. (2000). Estructura Factorial del Inventario Multicultural Latinoamericano de la Expresion de la Colera y Hostilidad. Revista Latinoamericana de Psicologia, 32, 2, 321-344. Moscoso, M.S., & Bermudez, M.P. (1999). Ira y Hostilidad: Evaluacion e implicaciones en el tratamiento psicologico de pacientes infectados por HIV (Editores): Fernandez-Abascal, E.G. & Palmero, F. Emociones y Salud, Ariel Psicologia, Spain. Moscoso, M.S., Spielberger, C.D. (1999). Measuring the Experience, Expression and Control of Anger in Latin America: The Spanish Multi-Cultural State-Trait Anger Expression Inventory. Interamerican Journal of Psychology, 332, 29-48.